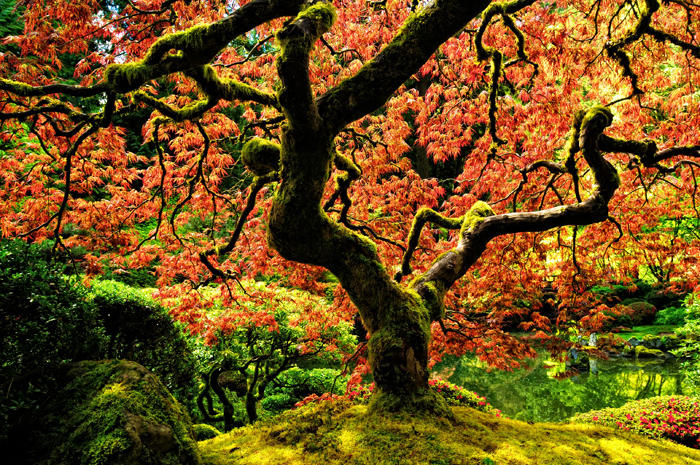 This impression was a springtime gift; revealed when I slipped under the canopy of a ‘wise-looking’ old tree in the Portland Japanese Garden. The experience felt like entering a cathedral with sun shining through stained glass windows – a sanctuary with radiating light, colors and sensations of love, joy, peace and renewal. I love Pascal’s phrase that you should always “keep something beautiful in your mind”. Beautiful landscapes can help you do just that.